BRIEF: InBalance came to us needing some small tasks for a complex site with a sophisticated client exercise management area. The old site wasn’t responsive and it had some bugs and compatibility issues with latest software versions. SOLUTION: We were able to offer support on the old site initially, but recommended upgrading to a responsive design where we could address all of the issues at the same time. OUTCOME: Building a new responsive website allowed us to iron out all of the bugs and software compatibility issues as well as updating the style of the site to look more contemporary. 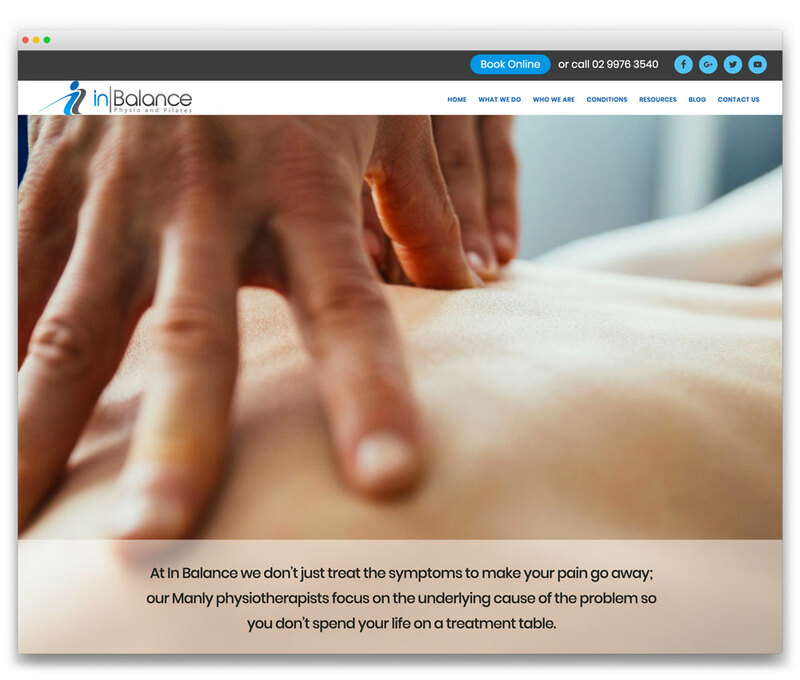 The In Balance Physio team can now get on with treating patients, knowing that the website will be doing what it’s suppose to do.